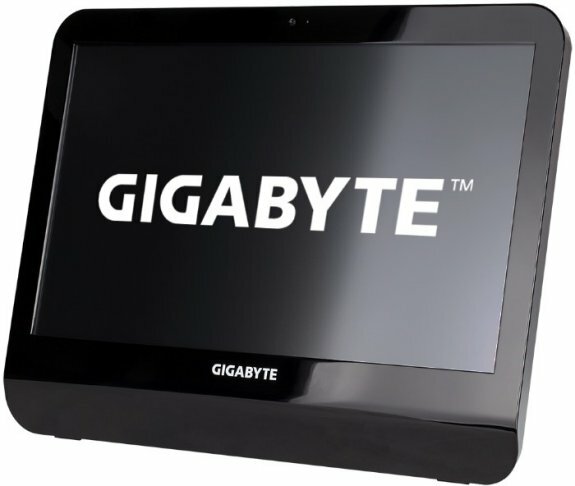 Gigabyte introduced the GB-AEDT, a 21.5" All-in-One PC with Intel's Sandy Bridge processors and USB 3.0 support. With the GB-AEDT, GIGABYTE brings together the touchscreen technology and the all-in-one concept renewed by Intel's Thin Mini-ITX standard to provide a new multimedia experience. It combines a 21.5'' full HD screen, the latest Intel Core Series processors, the new USB 3.0 technology, and optional features like TV tuner card within the same chassis. With many features, high performances, and a space-saving design, everything is here to bring more fun into the multimedia experience at home, at school, or anywhere else. The GB-AEDT complies with the Thin Mini-ITX standard, and in accordance with its concept GIGABYTE introduces fully modulated All-in-One PC models to answer any requirements in the most time and cost efficient way. Whether you want a turnkey, a highly customized or only a barebone product, the GB-AEDT solution can answer your needs as the entire system is broken down into integrated and standardized modules that can be easily and quickly upgraded or replaced. With a fast and easy handling of components, our solution is also ready for future upgrades and covers you from obsolescence risk. The product being modulated, you can optimize you inventory management by ordering different modules and different quantities at different times. Our solution is designed to be versatile and thus economic in handling. The GB-AEDT AIO supports Intel®’s 32nm microarchitecture and the LGA 1155 socket, allowing our product to operate with the latest Intel® Core™ processor family, which brings, among others, a 25% performance improvement and lower power consumption compared to the previous CPU generation. With a top quality LED screen and Full HD resolution, the GB-AEDT displays exquisite and rich-colored images in such details that will turn your All-in-One PC into a true home theater. The GB-AEDT boasts the SuperSpeed USB 3.0 technology made possible through an additional onboard host controller. With superfast transfer rates of up to 5 Gbps, users are able to experience a theoretical 10x improvement over USB 2.0. Additionally, backwards compatibility with USB 2.0 assures users of long term use of their legacy USB 2.0 devices. The GB-AEDT can be equipped with TV tuner cards, allowing the computer to be used as a HD TV as well. The screen size makes it perfect to be used as a secondary TV, in a bedroom or a kitchen for instance. Worldwide options are available (Europe, USA, South America, Middle East, Japan, China, Taiwan). The motherboard of the GB-AEDT has a free mSATA connector that can be used for storage purposes. In other words, it can receive an ultra-compact SSD for a faster storage of your data, but also faster boot time of the computer, and overall improved benchmark performance. The ErP (also known as Energy-Related Products Directive) is part of the European Union's environmental regulations policy. It is based on concern for the environmental as the proliferation of electronic devices continues, and how to improve energy efficiency for a better and greener life. GIGABYTE supports ErP and produces products that help you effectively improve system efficiency.